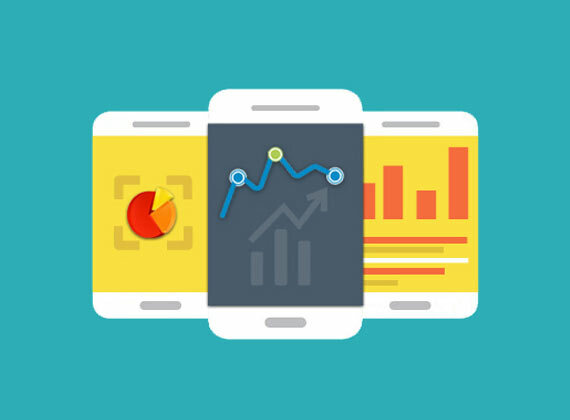 With the number of mobile visitors are multiplying year by year, there is seen to be the vast surge in the demand of mobile analytics services. You as a true online business must be aware of the conversion and engagement behaviour of all your mobile visitors to target your relevant content across all the devices and this is where you need such services. How IS Global can assist you with its Mobile Analytics Services? By determining the existing behaviour of your mobile visitors, you can easily create a precise targeting strategy. Improving the usage of mobile apps to grow up the revenue. Knowing about the right type of measurement framework that should be defined for the mobile platform. In order to bring all above points to life, we have concocted an effective mobile analytics framework which takes in the tagging of all genres of mobile based websites and other sorts of mobile applications by pushing the text messages and call-to-actions. Also, we put forward a monthly or weekly performance for the mobile channel visitors. With mobile analytic services offered by us, you can learn more on growing your lead conversion rate from the mobile channels. Why choose Mobile App Analytics Services of IS Global Web? Digital Analytics is our USP- With an experience of more than half a decade, we’ve catered to numbers of clients from different domains. We have the expertise of working with lead generation to across various other eCommerce businesses from multiple verticals including- Publishing, education, retail, insurance, automobile, telecom and more. Tested digital analytics professionals- We employ the huge team of experienced digital analytics professionals who have the outstanding blend of tactical and strategic expertise. Our team of professionals don’t just have the product specialists but also encompass the seasoned professionals who are skilled with optimization skills and strong analytic skills. Sound skills of testing and implementation- we’ve built up a solid compacted team of certified professionals who hold a great expertise in the implementation of major mobile analytics, testing solutions as well as web analytics solutions.